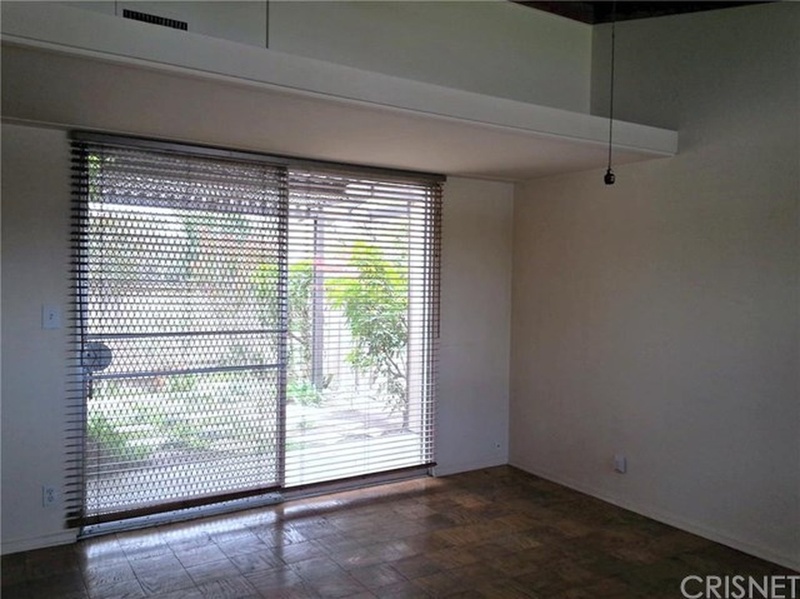 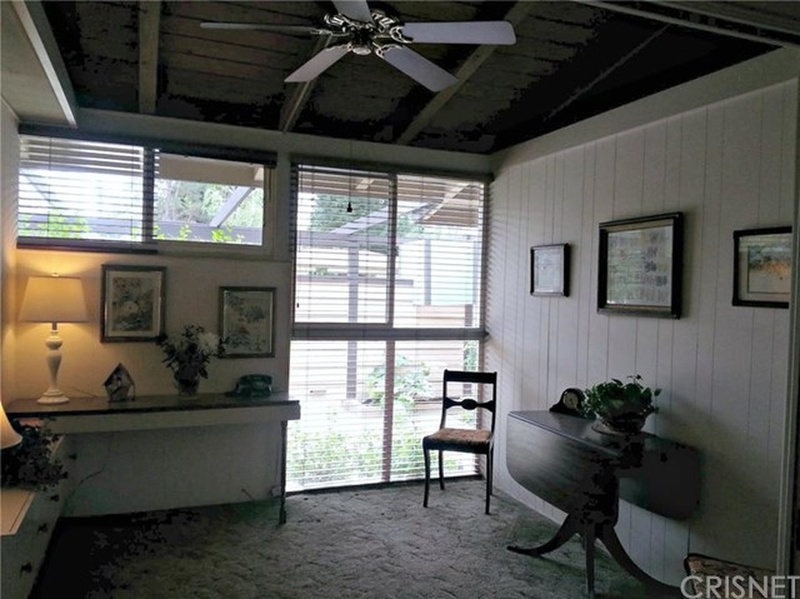 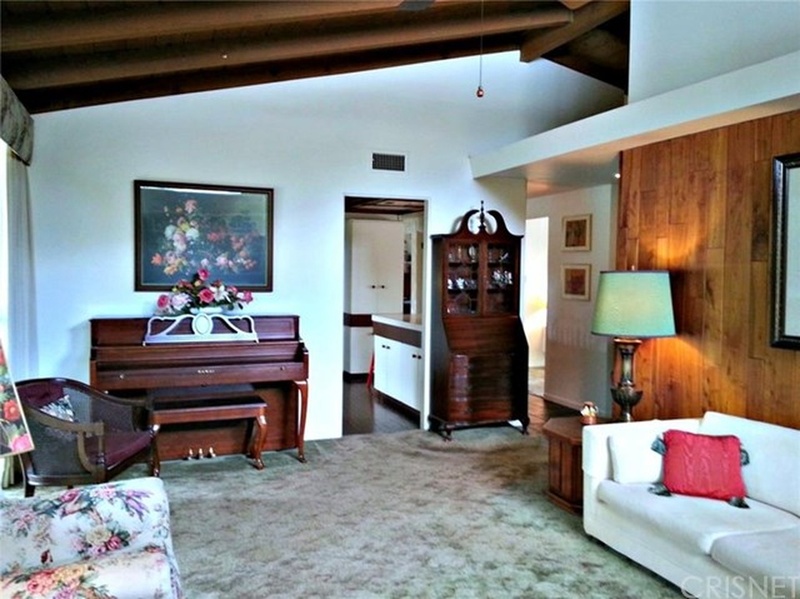 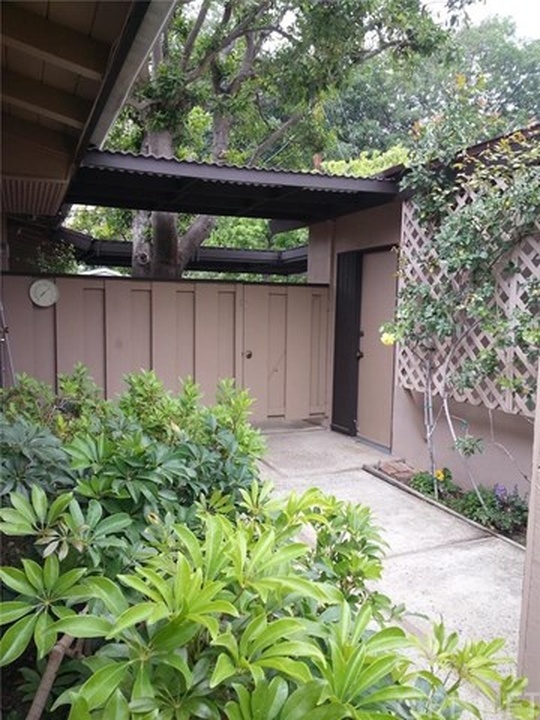 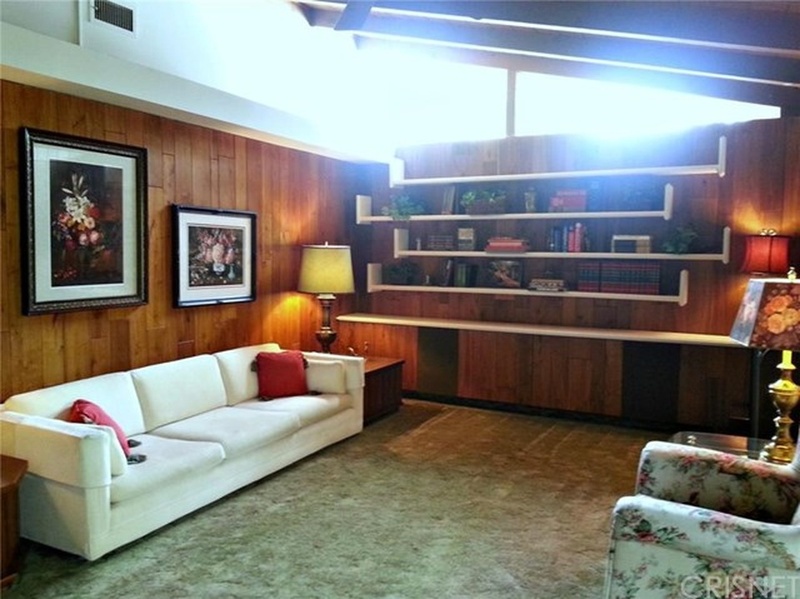 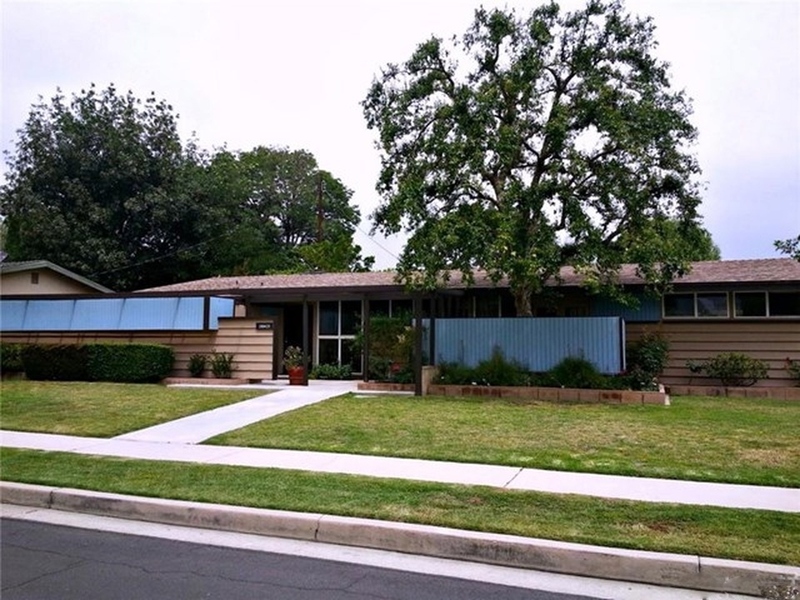 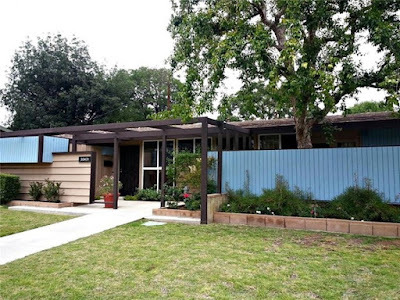 Built in 1954 in North Winnetka, CA is this vintage Palmer & Krisel-designed midcentury home with lots of great original and added details. With four bedrooms and two bathrooms, a detached two car garage all on a 8,300 square-foot corner lot, this home carries an asking price of $479,950. The exterior of the home features some great vintage midcentury modifications that appear as if they took inspiration from modernist landscape architect Garret Eckbo. A soft blue privacy fence shields the front patio and courtyard from the street, while an open and shaded pergola roof defines private areas, walkways and interior patios. 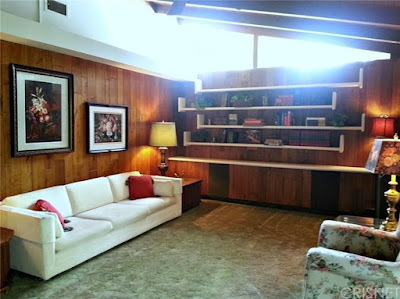 The home still reads as distinctively Krisel behind the landscape architecture, and is complimented by the paralleling midcentury style. Inside, the living, dining and kitchen all sit at the rear of the home while the bedrooms sit towards the front. 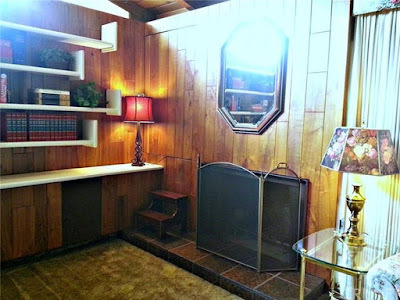 The living and dining rooms were built as great rooms, with fantastic vintage paneling surrounding the living room, original clerestories with some clean-lined floating bookshelves with a built-in console sited below, and a paneled fireplace on the rear wall of the home. 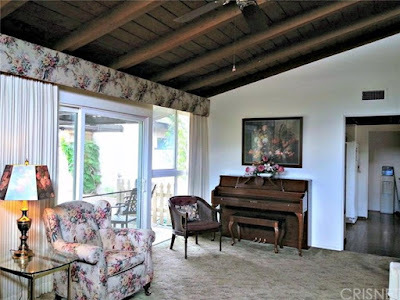 The adjacent dining is currently used as a sitting/piano area, and is surrounded by Krisel’s signature floor-to-ceiling windows overlooking the backyard. 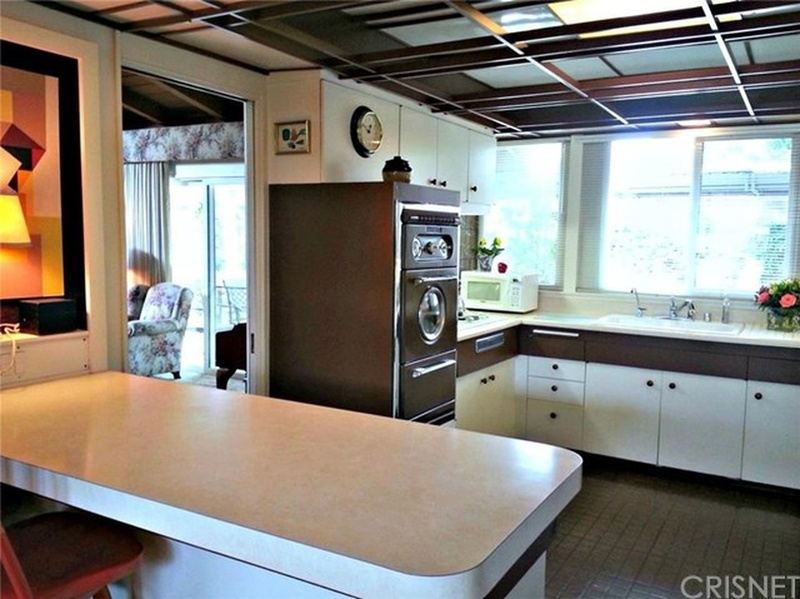 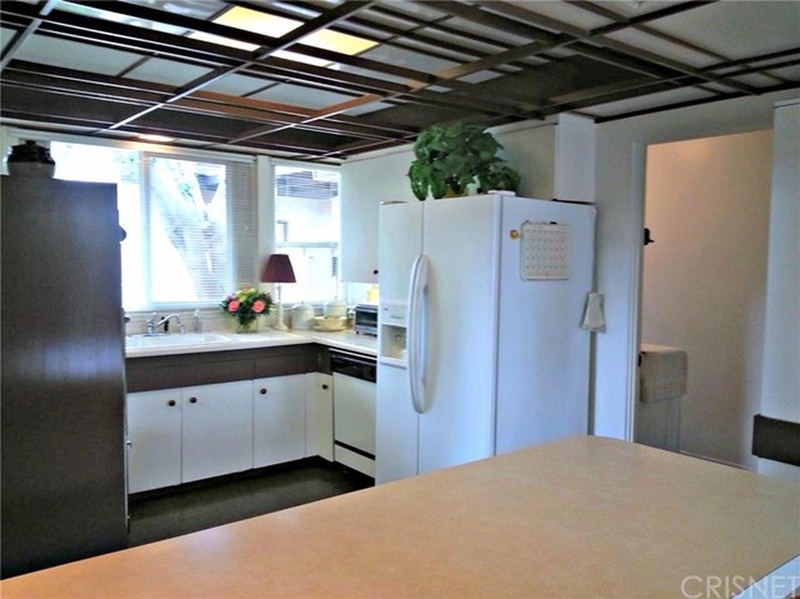 The kitchen sits adjacent to the dining area, and features original cabinetry, range and oven. A custom ceiling adds to the look of the room, which sits open to the adjacent breakfast nook at the front of the home, separated by an original floating island. 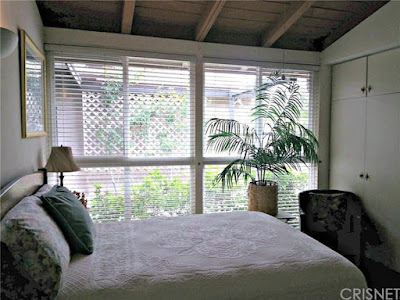 The master bedroom sits tucked between the living room and entry hall at the front corner of the home. A large sliding glass door overlooks the serene front courtyard, and side windows allow for additional natural light to enter the space. 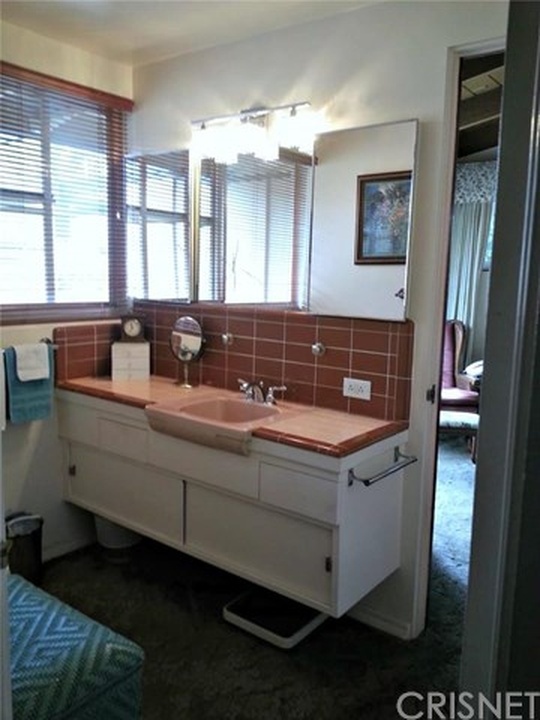 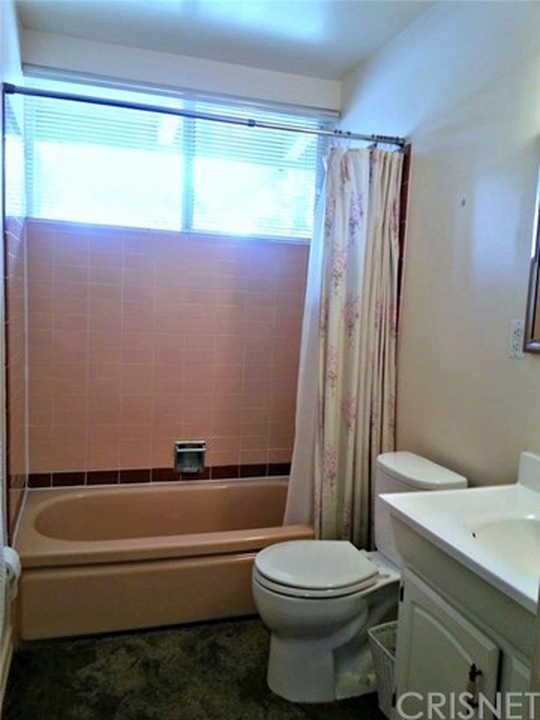 The master bathroom is very well-preserved, with original floating vanity and pink American standard sink. 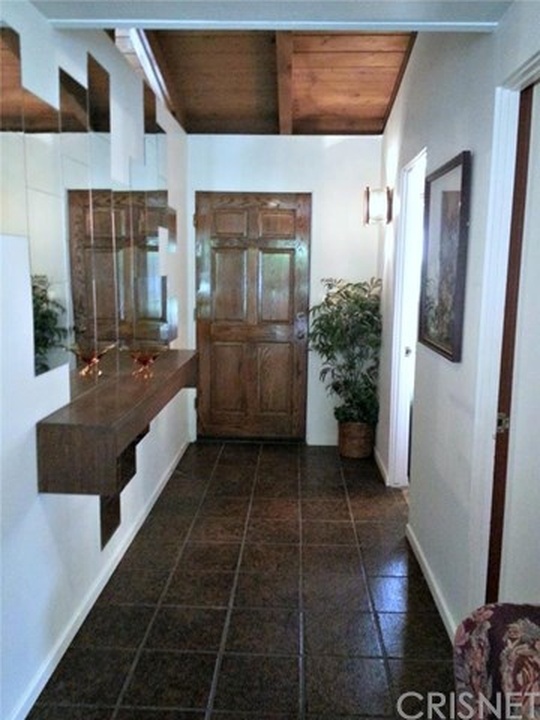 The tilework appears to have been updated over time, but maintained in such a style that looks as if it’s been in the home since day one. 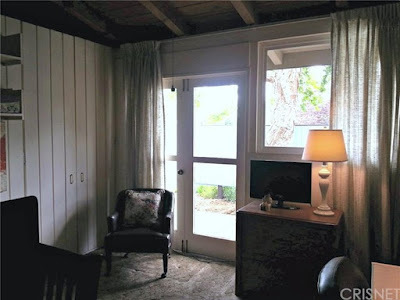 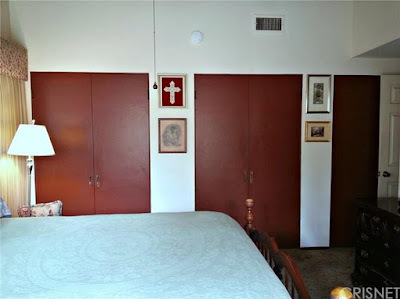 The two guest bedrooms are in their original configurations, split form the master, with open-beamed vaulted ceilings, floor-to-ceiling windows, built-ins and vintage paneling. 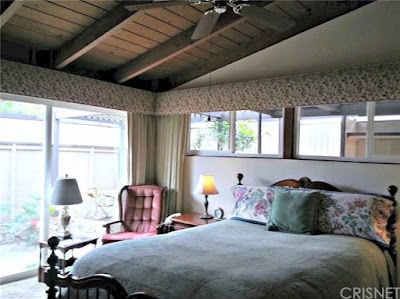 The third bedroom has been added at the east side of the home, which maintains all of the proportions and design cues of the original home. 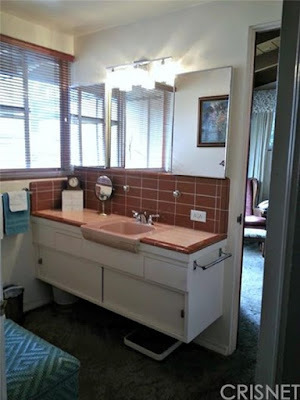 The guest bath has been updated, but maintains vintage aesthetics through the tub and its surround. 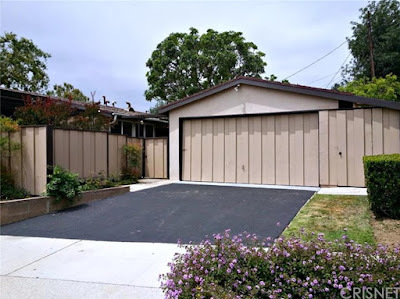 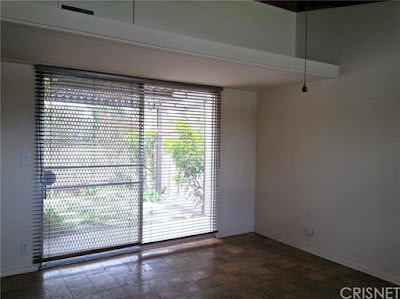 The detached garage sits in the backyard, accessed from the corner side of the lot and connected to the home via pathways and a pergola. 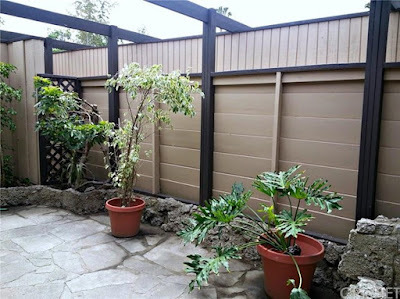 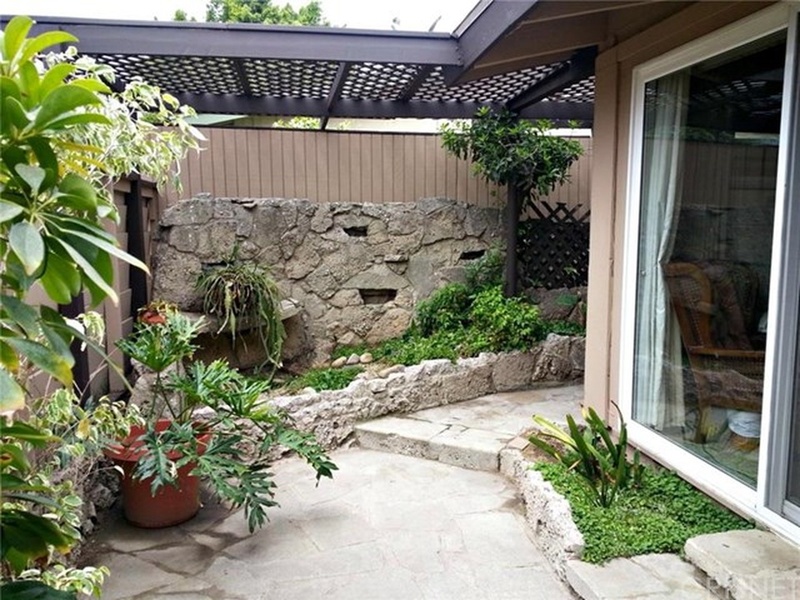 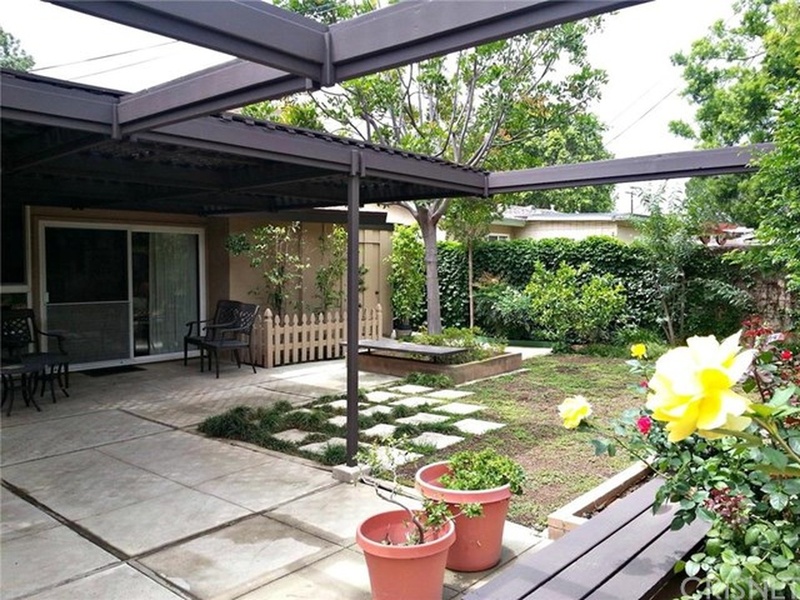 Lush plantings surround the walkways that wrap around the home, and a large covered patio sits off the rear of the home. 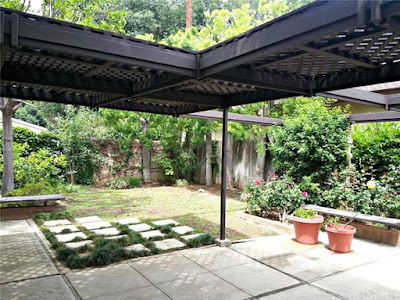 Mature trees and a small patch of turf surround the patio, while the whole composition creates a quiet, inviting environment. 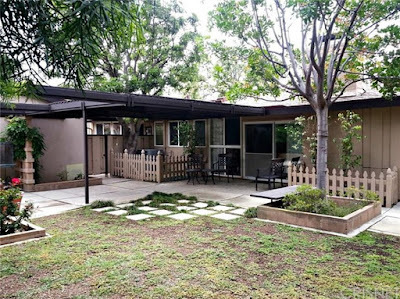 This architect-owned home exemplifies midcentury California modern, with lush, inviting grounds, quiet architecture and indoor-outdoor living. At its current price point, Redfin.com predicts this home to be a fast sell, so be sure to take a look at this one before its gone.